Unicorns have fascinated people for generations. At once the epitome of purity, they are also dangerous. Their horns contain stronger magic than anything else. A unicorn’s horn can cure any illness, warn of any poison. And it is very, very difficult to get. They cannot be caught, they will kill with their horns, they can only be tamed by innocent girls. This anthology is all about these creatures. Collected by Peter S. Beagle, they all take different looks at these mythical creatures. They had tried to destroy the Will, but that proved to be beyond their power. It was a hot, steamy summer and the mosquitoes swarmed everywhere, from their breeding grounds in the rotten, reedy shores of the Red Lake up to the foothills of Mount Abed. Lirael is a Daughter of the Clayr, who can See the future. She alone among them does not have the gift. 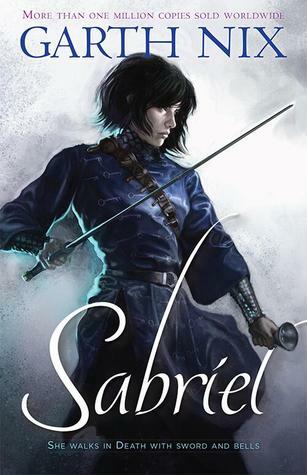 Sameth is the son of Sabriel, Abhorsen-in-Waiting. But he does not want this burden. He is afraid of death. But trouble is brewing in the Old Kingdom and in Ancelstierre alike. A dark force is rising, creating dead in its wake and preventing the Clayr from seeing its plans. With the King and Sabriel gone, it falls to Lirael and Prince Sameth to face whatever is waking on the shores of the Red Lake.